The Radisson Blu International Larnaka Marathon situated in the coastal city of Larnaka, close to the International Airport of Larnaka, on the beautiful Palm Beach Avenue (Foinikoudes), next to the salt lakes where flamingos take a breath during the fall is sure to excite every runner, from the more experienced ones to the newcomers. The Radisson Blu International Larnaka Marathon offers a number of different races on race day, as apart from the full marathon, there are also a Half Marathon, a 10k Race, 5k City Race, 5k Corporate Team Race and a 1k Family Race. All the races offer a different experience for all ages and abilities. The 1st Radisson Blu International Larnaka Marathon was a complete success attended by more than 3,000 runners of all ages, from 25 different countries. Though only in its second edition, the Radisson Blu Larnaka International Marathon claims its rightful place amongst the world’s top marathon races. Already certified by the Association of International Marathons and Distance Races, AIMS, the event features plenty of distance options for all ages and abilities from which to choose ranging from the breathtaking 42.195 km Marathon and the 21.095 km Half-Marathon to the 10 and 5 km and the 1 km Family Race. Gaining in popularity as a race destination, the Radisson Blu Larnaka International Marathon successfully combines a Mediterranean getaway with rising competition, aided by the flat for the most part course allowing for fast running times. 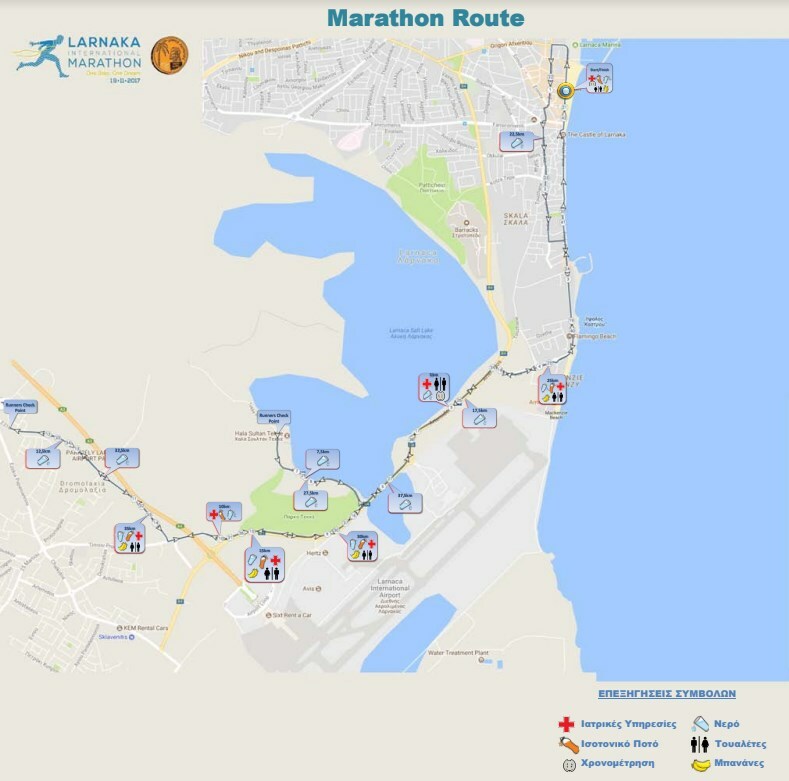 Starting in front of the Larnaka City Hall the course takes runners along the scenic coastal road of Phinikoudes all the way to the surrounding picturesque McKenzy area offering stunning sea views en route. 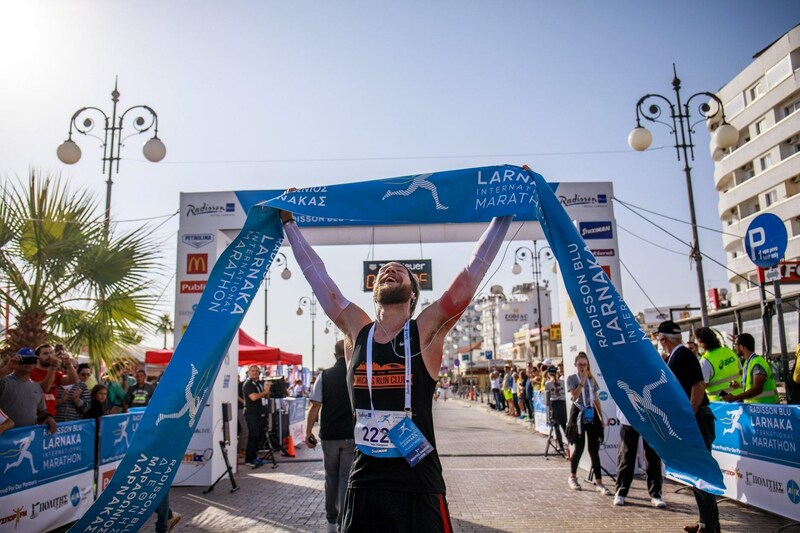 The scenery then changes as the athletes are guided towards Larnaca International Airport through beautiful landscapes that will definitely help alleviate any pain they may be experiencing from the vigorous race and keep them going. After crossing over the Larnaka Salt Lake runners are greeted by the Mosque of Umm Haram at the west bank of the lake and, surrounded by palm trees as they pass through Tekke Park they are visually compensated for all their effort so far returning to the same spot twice. The first run in 2017 attracted more than 3.000 entrants of all ages from 25 different countries; the next encounter will be on November, 18, 2018 with registrations already open. 42,195 meters that will provide intense moments of emotion to the courageous runners who will run it. A path that in addition to the beautiful nature that characterizes it, is an ideal match for breaking records and outstanding performances.